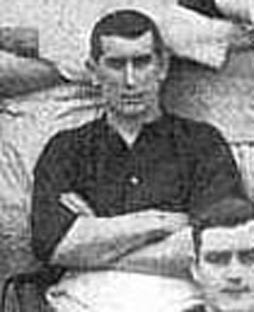 McAllister started with Yorkshire club Castleford Town, before moving to First Division Blackburn Rovers in March 1905, where he played two League games at Inside Left as a contemporary of Adam Bowman who later also joined Leeds City. McAllister reportedly had disciplinary problems at Ewood Park, where he made his debut against Aston Villa in 1905. He moved to Southern League Brentford in 1906, where he was joined by Bowman one year later. He left Griffin Park for Elland Road in May 1908, along with Adam Bowman, and found himself a regular for almost two seasons playing fifty-three League and five F.A. Cup games. He rejoined Castleford Town in 1910, and later finished his career with Halifax Town.